Ribbex provides a wide range of options for moving large volumes of liquid or sludge across the UK. Offering both ADR compliant and general purpose tankers between 13500 – 27000 litres which carry both hazardous and non-hazardous waste we can cater for all your needs. 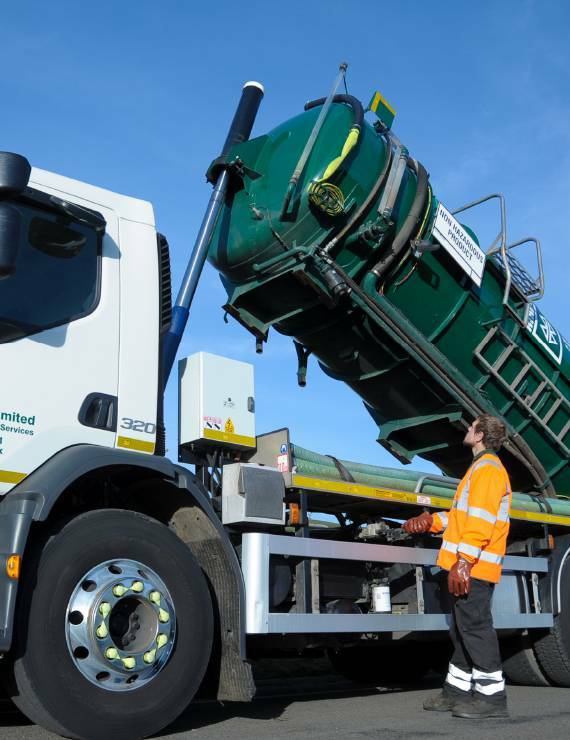 In these specialist areas we are able to offer advice on routes for difficult waste streams and help with technical assessments and recycling alternatives. There are also a number of options for biodegradable waste or high calorie food waste which can be explored fully once we have a sample. Keeping liquid waste like this separate can mean large cost savings for our customers if there are substantial quantities being produced.